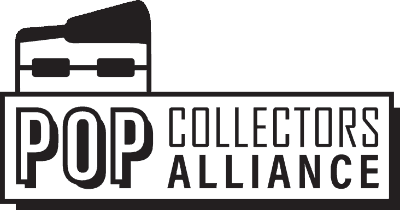 Our goal here at the Pop Collectors Alliance has always been to help Funko collectors find rare and hard to find pieces without depending on resellers/flippers. One of the ways we do that is through our Cost Plus Shipping Events. Are you ready for the party? We will have a number of items available for purchase. You will put your name in a drawing for each item you are interested in. We will draw names for each lot, if we pull your name you have the chance to purchase the item for COST PLUS SHIPPING. Select the Pops that you are interested in buying. All participants are only eligible to win one item. You can put your name in as many drawings as you like. If you win an item but it's not the item you really wanted, you have the ability to pass (but you cannot reverse this is you don't win the only one that you wanted). After you win the drawing and accept the item, you will be sent a link to pay. Any items not paid for by the end of the event will be drawn for again before we go offline.